What matchless love Jesus has manifested for a fallen world! 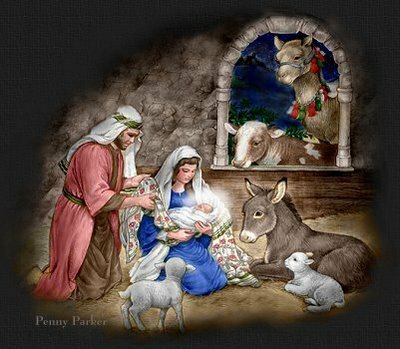 If angels sung because the Saviour was born in Bethlehem, shall not our hearts echo the glad strain, Glory to God in the highest, peace on earth, good will to men? Although we do not know the exact day of Christ's birth, we would honor the sacred event. May the Lord forbid that any one should be so narrow-minded as to over-look the event because there is an uncertainty in regard to the exact time. Let us do what we can to fasten the minds of the children upon those things which are precious to every one who loves Jesus. Let us teach them how Jesus came into the world to bring hope, comfort, peace, and happiness to all. The angels explained the reason of their great joy, saying, "For unto you is born this day in the city of David a Saviour, which is Christ the Lord." Then, children and youth, as you celebrate the coming Christmas, will you not count up the many things for which you are to be grateful, and will you not present a gratitude offering to Christ, and so reveal that you do appreciate the heavenly Gift?